Publix has issued a voluntary recall for its deli popcorn chicken because it may contain foreign material. 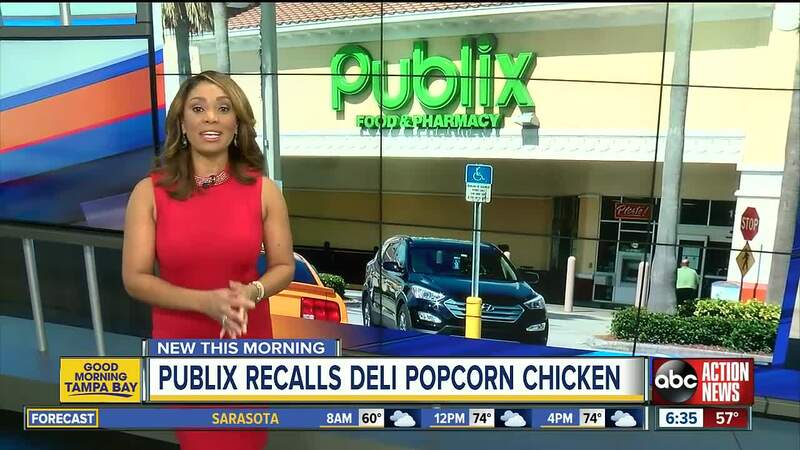 LAKELAND, Fla. — Publix has issued a voluntary recall for its deli popcorn chicken because it may contain foreign material. The chicken was sold in both hot and refrigerated cases in the deli department in all stores in Florida between January 17 and January 31, 2019. It was also sold in some Georgia, South Carolina and Alabama stores. The foreign material that may be in the recalled popcorn chicken is plastic pieces, according to Publix's Facebook . "Food safety is our top priority at Publix. We issued a voluntary recall for our Publix Deli Popcorn Chicken due to the possibility of the product containing plastic pieces." No other chicken is impacted by the recall, Publix says. They also say products available for sale today are not impacted. You can read the full recall here.